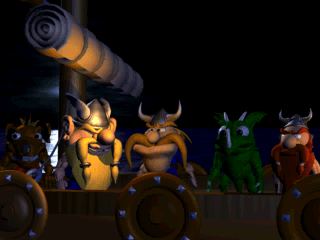 I remember playing game “Lost Vikings” by Silicon&Synapse (who was later renamed to Blizzard). Lost vikings (again) and additional creatures. Endgame scene. Who knew that it had a sequel? It was done by Beam Software and looks less appealing to me than original. But it has cutscenes and audio in its own format, which makes it a bit more interesting. A contributor, who wishes to remain anonymous, sent me his description of this format so I was able to implement demuxer and decoder for their video and it will be committed soon (I hope). Details of this format are already here. As a follow-up to the theme set by Michael here are my few random shots of flowers (made in the Western Ukraine, several thousands kilometers from my home). You are currently browsing the Kostya's Boring Codec World blog archives for October, 2007.